L DOUBLE TABLE – .nobody&co. 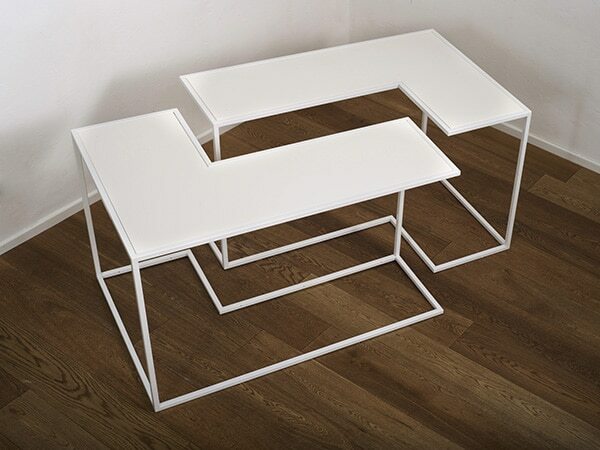 A very simple, modular furniture concept, L Double Table is composed of two L-shaped partner pieces, which can be arranged in various shapes. or adapted to form varying elegant proportions and elongations for diverse spaces. 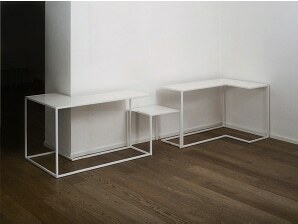 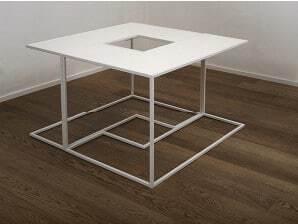 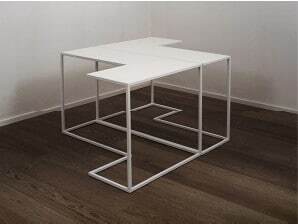 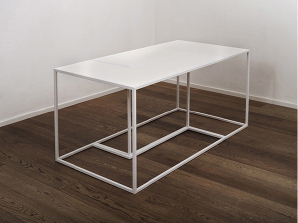 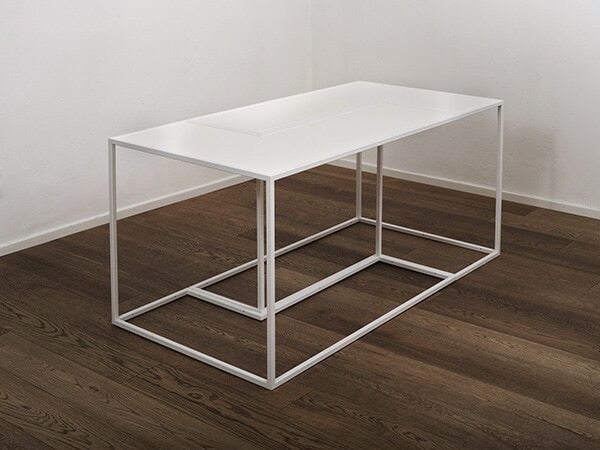 Furthermore, L Double Table can be completely reversed, offering greater geometric possibilities. 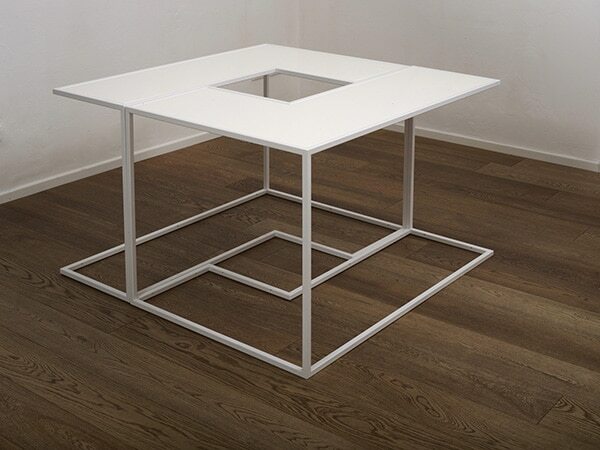 The table-top comes in a range of solid colours.